The Obvious from Austin: Two storied and extremely proud football programs, the No. 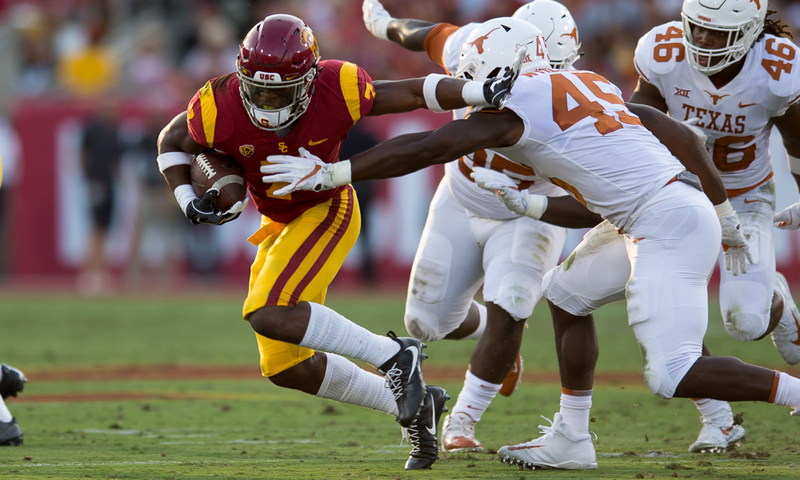 22 USC Trojans (1-1 overall, 0-1 Pac-12) and the unranked Texas Longhorns (1-1 overall, 0-0 Big 12), will have their 2018 national perceptions on the line when they meet here in Austin, Texas on Saturday night (7 p.m. CDT/5 p.m. PDT) in Darrell K. Royal Stadium. The Not So Obvious: For the USC Trojans, who did not score a touchdown in last Saturday’s 17-3 loss to Stanford, a victory at Texas would provide some much-needed confidence and reduce the mounting pressure and scrutiny on head coach Clay Helton. As for Texas and second year head coach Tom Herman, who is also taking heat in the Longhorns’ state, Saturday night will be an opportunity to avenge last season’s double-overtime Coliseum loss to the Trojans, 27-24. While a loss by either team won’t affect their individual conference standing, a win could enhance their potential post-season bowl options following the regular season. The Obvious: Texas opened a 3.5 favorite to defeat the underdog Trojans. The Not So Obvious: This will be just the third time the Trojans have visited Austin. The last time the Troy traveled to the Texas capital was 1966, a game won by the Trojans 10-6 in front of 42,000 burnt orange faithful. The first time the Men of Troy visited Austin (1956), it was a sociologically historic contest, and some of those involved (including former Trojans great C.R. Roberts) will be saluted on Saturday night. As a sidebar, the Trojans have played 15 times in The Lone Star State and, in fact, is playing in this state for the third consecutive year, but the last time the Trojans won a game in Texas was in 1996 against Houston, a team coached by USC head coach Clay Helton’s father, Kim. The Obvious: Saturday night’s battle of the Pac-12 and The Big 12 at Darrell K Royal Stadium will be televised on FOX (5:00 p.m. PT/ 8:00 p.m. ET). The Not So Obvious: The FOX broadcasters for Saturday will be Gus Johnson (play-by-play), Joel Klatt ­­­­­­­­­­­­­­(analyst) and Jenny Taft (sidelines). The Obvious: Saturday’s Trojans’ radio broadcast from Darrell K. Royal Stadium will air live (5:00 p.m. PT) on ESPNLA 710 AM with Pete Arbogast (play by play), John Jackson (analyst) and Jordan Moore (sideline). The Not So Obvious: The Trojans radio game broadcast will be preceded by a four-hour pregame show beginning at 1 p.m. (PDT) and featuring Arbogast, Jackson, Moore, Shaun Cody, Chris Fisher, Andy Kamenetsky, Chris Hale, Nick Alfano, and WeAreSC publisher Garry Paskwietz. Following the game, there’ll be a two-hour post-game show. The Obvious: It figures that a large number of Trojan fans will be traveling to Austin to attend the game. The Not So Obvious: Since receiving the Trojans’ broadcast in Austin is challenging, a reminder that the Texas broadcast can be heard on flagship station 109.4 FM and 99.3 FM with Craig way (play-by-play), Roger Wallace (analyst), and Quan Cosby (sidelines). There is also a national broadcast on the Sports USA Network with Josh Appel (Play by Play) and Trojans Hall of Fame former head coach John Robinson (analyst). Saturday’s game will also air on Sirius XM satellite radio (online channels 83/93 or online channel 93 and on the Tuneln Radio app. The Obvious: Saturday’s Austin weather forecast calls for thunderstorms with a high of 85 and a low of 73 degrees, 77 percent humidity, and 80 percent precipitation. The Not So Obvious: The real weather report begins with whether the actual Austin weather will have an effect on the Trojans. With the prospects of potential thunderstorms, rain, and humidity, it applies a new layer to the cardinal and gold challenges – not to mention playing in a stadium with over 100,000 partisan fans. Other than the big upset at Washington in 2016, the Trojans have not consistently performed well in similar environments. The next question is whether the Trojans are ready to move on from their difficult conference loss to Stanford last Saturday. The truth is whether Clay Helton can bring his team up to a fever pitch in a non-conference game against a revengeful opponent in Texas. One could make a major case whether this is the game that clearly identifies the identity of the 2018 Cardinal and Gold. Offensively, we’ll see whether the Trojans can actually score a touchdown. Sounds cynical and sarcastic, but at the moment, that’s where we’re at. Last season, the Trojans really had to fight to put points on the board against the Longhorns in the Coliseum, and we’ll find out if Texas gets the upper hand physically in controlling the USC offense. It would be too simplistic to say the problem last week at Stanford was just the Trojan players on the offensive side of the ball. Scrutiny will be on Trojans’ offensive coordinator Tee Martin and how he calls the plays in the specific situations – namely the red zone. Some of last week’s head scratching run and pass ratios per series was at times perplexing. We’ll find out if Martin can match wits with highly respected Texas defensive coordinator Todd Orlando, considered a master at changing defensive schemes and tendencies from game to game. Ironically, most dismiss the play of true freshman QB JT Daniels as being the root cause of the offense’s impotence against the Stanford defense. We’ll find out whether the Trojans’ receivers will make catches early in the game against a tough and talented Longhorns secondary to gain some early momentum. Another offensive aspect, when the Trojans decided to run the ball with authority against Stanford, they moved the ball as the offensive line seemed to come alive with an attacking, aggressive behavior. We’ll see whether the Trojans’ offensive line will be able to get increased responsibility for running the ball effectively against a questionable Texas D-line that has shown weakness against the run. This is the type of game where Trojans’ sophomore tailback Stephen Carr (photo above) could hit his stride if he get enough carries. Defensively, we’ll see whether the Trojans’ defense can deal with a Texas offense that now has a second season under head coach Tom Herman. Last weekend against Stanford, the Trojans’ defense, under the aggressive direction of DC Clancy Pendergast, came ready to play and hit. Because of the heat and the expected Austin humidity, we’ll find out whether Pendergast will continue to substitute liberally. We’ll see whether the Trojans’ secondary can stop junior wide receiver Collin Johnson, who burned the Trojans for 191 yards in seven catches in the Coliseum. The Trojans are hurting at safety experience because the original starter, sophomore Bubba Bolden, is out with a school related personal issue and his replacement, redshirt freshman Isaiah Pola-Mao, is now out with a dislocated shoulder. You don’t need to question whether Texas QB sophomore QB Sam Ehlinger, who was 21 of 27 for 237 yards and two touchdowns last Saturday against Tulsa, will test the Trojans’ secondary. We’ll see whether Texas attacks Pola-Mao’s replacements, sophomore C.J. Pollard and true freshman Talanoa Hufanga early and often. On Trojans’ special teams, we’ll find out whether last season’s Texas villain, Trojan’s sophomore kicker Chase McGrath, has a large say in determining this season’s winner in Austin. Last season, Chase connected on a 31-yard field goal to send the Coliseum game into overtime and in the second overtime converted the 43-yard game winner over UT. The Longhorns kicking game was a real question heading into the season – both with inconsistent returning placekicking and breaking in a new punter. This could all be a difference maker. The Obvious: The Trojans’ offense is averaging 23.0 points per game while the Texas defense is allowing 30.0 points per outing. The Not So Obvious: The Trojans’ defense is allowing 19.0 points per game while the Texas offense is averaging 28.1 points per game. The Obvious: Trojans’ OC Tee Martin is under the gun for his offense not scoring a touchdown against Stanford. The Obvious: Tom Herman is in his second season as the Texas head coach. The Not So Obvious: Herman came to Texas after compiling a 22-4 record in two seasons at Houston, the fourth-best record in the FBS in that span. His second season as head coach at Texas will mark his 15th spent in the state of Texas out of 21 years coaching on the collegiate level. That includes his time as a graduate assistant at UT (1999-2000), where he earned a master’s degree in education. The Obvious: The Trojans will start true freshman JT Daniels, who suffered a bruise on his right hand early in the first series against Stanford but returned later returned to finish the game by throwing 16 of 34 passes for 251 yards, no touchdowns, and two interceptions. The Obvious: The starting quarterback for Texas is sophomore QB Sam Ehlinger who last season against the Trojans was 21 of 40 for 298 yards and two touchdowns. 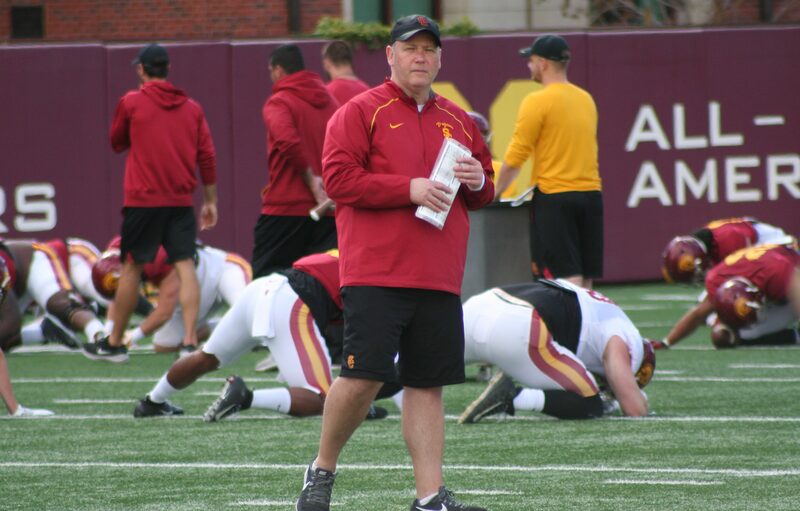 The Obvious: Clancy Pendergast is the Trojans’ defensive coordinator. 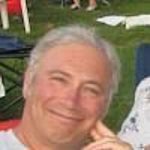 The Not So Obvious: Asked about Texas sophomore quarterback Sam Ehlinger and this season’s edition of the Texas offense, Pendergast said, “You can obviously see the experienced that he has gained from his time he played from last year. He has got full command of the offense, and he has a lot of touch with the deep ball. I think he is really in sync with his receivers. He does a nice job in the running game – not only with the quarterback driven runs but also if his first, second, or third reads aren’t there. He gets a feel in the pocket and starts scrambling. The Obvious: The Trojans have five players from the state of Texas (TBs Aca’Cedric Ware and Chris Edmondson, ILB-OLB Levi Jones, PKs Alex Stadthaus and Thomas Fitts). Jones (Westlake HS) and Stadthaus (Vandergrift HS) went to high school in the Austin area. The Not So Obvious: Texas has eight players from California (QB Cameron Rising, RBs Tre Watson and Kirk Johnson, WRs Collin Johnson and Kai Jarmon, K Jack Geiger, DB Chase Moore, OL Matt Frost). The Obvious: The Trojans Marching Band, under the direction of Dr. Arthur C. Bartner, will be in attendance on Saturday night. The Not So Obvious: In anticipation of Saturday night’s big game, the Trojan Marching Band will be in attendance and perform a free Friday at noon pep rally on the south steps of the Texas State Capitol. The Obvious: Austin is a city known for its music entertainment and night life. The Not So Obvious: Texas as a pregame concert series called Longhorn City limits on the fountain lawn of the LBJ Presidential Library. Each game feature a pregame concert in the “Live Music Capital of the World.” Reckless Kelly headlines Saturday’s pregame concert with the Peterson Brothers opening. 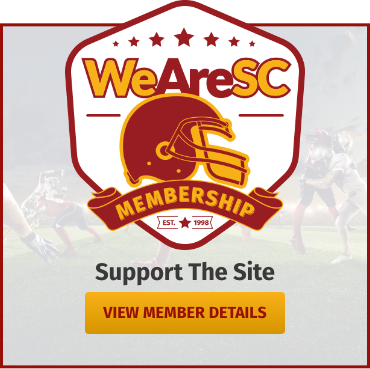 The Obvious: USC has an enrollment listed at 45,000 students. The Not So Obvious: Texas has an enrollment listed at 51,331 students. The Obvious: And finally, USC has a large number of alumni all across the country. The Not So Obvious: The Trojans have 9,000 alumni in the state of Texas, more than any state besides California. 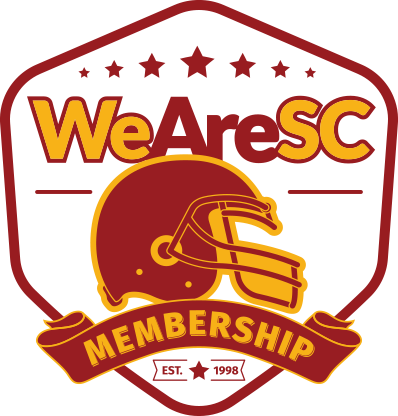 In fact, the USC Alumni Club of Austin is 1,200 strong.